Born and raised in Western Kentucky, Tim Harmon (BS, HIS) began fitting hearing instruments in 1983. In 1986, at the age of 24, Tim was the youngest person ever to be awarded a franchise by the industry’s leader at that time. Over the years, Tim has been awarded numerous times for outstanding hearing healthcare service — including the coveted “Platinum” award for achieving 100% in patient satisfaction, and superior performance in digital instrument programming. For the last 8 years, Tim worked side by side with the regions largest group of Ear Nose and Throat Medical Doctors/Specialists as their primary dispenser of hearing instruments. 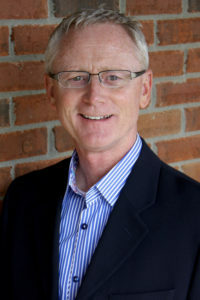 Tim is a member of Faith Center Church of Paducah where he serves in a leadership role. He is happily married to his wife, Tanya, who is a Murray State and Vanderbilt graduate, and who has also been serving the medical community for more than 15 years as a Family Nurse Practitioner. Tim and Tanya are both busy and active in raising their two sons Will and Jude. Tim currently serves hearing clients from across Western Kentucky from Purchase Ear Technology offices centrally located in Paducah, KY. Please feel free to contact our office for hearing aid services in Paducah, across Western Kentucky, Southern Illinois and Southeastern Missouri.